Most times, the job of figuring out who’s who on the family tree of the Royals of Great Britain can be tricky, but in this article, we are going to be exploring the biography of the lady who occupies the 38th position on the succession line to the throne of Britain. Lady Amelia Windsor maintained a somewhat low profile before she came under the spotlight in 2016 when Tatler crowned her the most beautiful royal of Britain. Since her cover page appearance, she immediately shot to stardom with the spotlight permanently resting on her. She has accomplished a lot of exploits in her job as a fashion model. Apart from featuring as the cover girl of the magazine Tatler, she has a modeling contract with Storm Model Management. She was at Milan Fashion Week in February 2017, walking the runway for Dolce & Gabbana and also featured in their Spring Collection of 2019. Vogue Japan featured her on the cover page of their 2017 edition. She went into collaboration with Penelope Chilvers and released a line of shoes, with 20% from the proceeds donated to a charity that aids children in conflict areas known as War Child. She also featured as a model for the line in a Video campaign which was hosted in Spain. 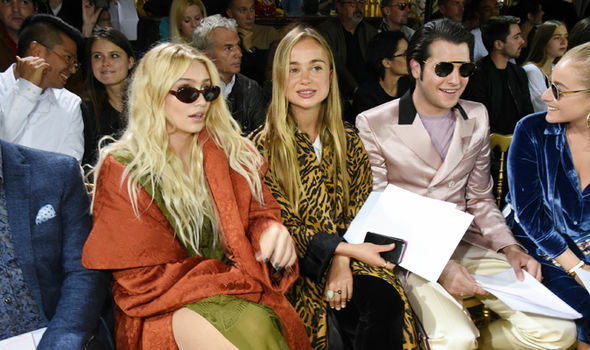 Lady Amelia Windsor is certainly carving a niche for herself in the world of fashion, she features as a regular in London, Milan, and Paris and has worked for Azzedine Alaia, Chanel and BVLGARI. She contributes as a fashion editor to Tatler.com. Her name came up on the 2017 best-dressed list of Vanity Fair International and she is with the Illamasqua – a British makeup brand as a spokesmodel. Her full name is Sophia Theodora Mary Margaret Windsor and she came into the world on the 24th of August 1995. Her place of birth was Rosie Hospital in Cambridge and her christening took place in December of that same year at Chapel Royal, St James’s Palace. She was born as the last child to Sylvana Tomaselli Mother and George Windsor, Earl of St Andrews (father). Lady Amelia Windsor has a couple of older siblings, a sister named Lady Marina-Charlotte Windsor and a brother called Edward Windsor Lord Downpatrick. The title The Lady Amelia Windsor naturally falls to her since her dad is a courtesy earl, her presentation to the society came in 2013 at the Le Bal des débutantes. Sources reported that she attended St Mary’s School, Ascot where she accomplished her graduation, she went to the University of Edinburgh to study both French and Italian but before then, she took one year out in 2014 from Thailand to India, assisting with a charity organization known as Veteran Aids which is charged with the responsibility of helping veterans to get their lives back to normal. They aid them in overcoming addiction, finding homes, getting their daily bread and much more. She spent quality time in Paris and Rome with the intention of pursuing a future career in fashion. Lady Amelia Windsor is one member of the British royal family that is not averse to seeking public attention through social media. While other royals tend to shy away, Amelia has a presence on Instagram – @amelwindsor, she is always uploading posts and has a healthy following of over 70,000. Amelia’s genealogy is a long and interesting one and she occupies the 38th position in the succession line of the British throne. Earl of St Andrews – George Windsor is her dad while her mum is Sylvana Tomaselli. Prince Edward, Duke of Kent and the first cousin of Elizabeth II is her paternal grandfather and Katharine, Duchess of Kent is her paternal grandmother. Katharine is a direct descendant of Sir William Arthington Worsley of Hovingham, 4th Baronet. Maternally, she came from the Tomaselli family of Australia. Her paternal great-grandparents have been identified as Princess Marina of Greece and Denmark and Prince George, Duke of Kent. Princess Marina was a grandchild of George I of Greece and Prince Philip, Duke of Edinburgh was her first cousin. Other people in her long lineage include Mary of Teck and George V who were her paternal great-great-grandparents, her brother and sister Lady Marina-Charlotte Windsor and Edward Windsor, Baron Downpatrick. Lady Amelia Windsor is also Prince Harry, Duke of Sussex’s and of Prince William, Duke of Cambridge’s third cousin. Although she was not present at the wedding of Prince Harry to Meghan Markle, she was visibly in attendance at Prince William of Wales wedding to Catherine Middleton. Lady Amelia’s body statistics have never been published by any source but it is on the records that she is of slim body build and has naturally blonde hair with blue eyes to go with it. She is currently the most beautiful member of the royal family of Britain.